Which Melbourne Museum are You Looking for? The Melbourne Museum is the largest museum in the southern hemisphere. It’s located in the Carlton Gardens next to the Royal Exhibition Centre in an impressive modern building with a landmark roof visible from surrounding neighbourhoods. This is where you can get valuable insights into how life unfolded in Victoria - from natural environment to culture and history. There is a rebuilt 19th century Melbourne street scene that places you on location back in time with its sounds, buildings and events. The Melbourne Museum is a great place to take children. There is an entire wing with hands on experiences and scientific exploits. Other highlights care a complete skeleton of a blue whale, the Bunjilaka Aboriginal Cultural Centre, where you can learn about Victoria’s Koorie (south eastern Aboriginal) people. There is a real life living rainforest rising, the famous racehorse Phar Lap and an IMAX theatre, where you can experience some documentaries on a huge screen in 3D. And there is always a different touring and international exhibition. The Melbourne Museum is only a 10 minute walk from the city. You can also catch the #96 or #86 there from Burke Street, or walk across Carlton Gardens from the free City Circle tram. ACMI has only been open a few years, but it has become one of the world’s leading moving image centres and is internationally recognised for its commitment to bringing excellence and innovationin world film and digital media. There are various exhibitions that are always worthwhile and screenings of various film. A very active Melbourne museum! It has a FREE permanent exhibition: Screen Worlds - the Story of Film, Television and Digital Culture. This is absolutely brilliant and one of the places where kids and adults alike won't get bored. It has many hands on activities and experiements. I give it a 10 out of 10. The Scienceworks Museum is the unrivalled favourite Melbourne museum of primary school children and a great place to spend a rainy day. It makes learning about science and technology fun with floors of interactive displays and hands-on exhibits. Curious minds find out things such as how the human body survives in extreme conditions. They are encouraged to take part in live demonstrations and kept busy with special activities. Melbourne Planetarium is also located within the Scienceworks museum. It creates hyper-real, digital simulations of the awe-inspiring astronomical events of outer space and takes you to the stars. 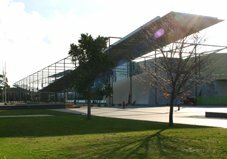 The Scienceworks Museum is located in Spotswood, across the Westgate Bridge, five kilometres from the Melbourne Central Business District. Our favourite way of getting there is with a Yarra River Cruise that stops over at the Scienceworks pier on the trip between the city and Williamstown. You can also take the train to Spotswood. From there the museum is about a 10 minute walk. The Immigration Museum explores the accounts of real people from all over the world who have migrated to Victoria. This Melbourne museum re-creates real-life stories - the trials, hopes and dreams - of those people who have made Australia their new home. With a rich mix of moving images, personal stories and community voices, diaries, letters and memorabilia you get to explore the immigrant experience that has defined Australia, from the reasons for making the journey, to the moment of arrival in a new country. It also explores the impact on indigenous communities. The Immigration Museum is located in the Old Customs House in the heart of the city and is only a short walk from Flinders Street Station or across one of the footbridges from Southbank. 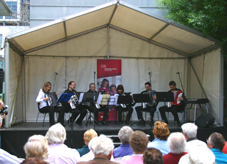 It is located at 400 Flinders Street. The Champions museum is a celebration of the exciting world of thoroughbred racing and its role in Australian cultural and sporting heritage. The museum showcases magnificent racing artefacts of interest to horse racing lovers. It is located in one of the buildings at Federation Square. This Melbourne museum of aviation is located at Moorabbin Airport, in the Southeast, about a 40 minute drive from the city. It is recognised as Australia’s only true National Aviation Museum and contains the finest collection of Australian made and designed aircraft, as well as a broad collection of the development and early adventures of air travel as well as military aviation within Australia. 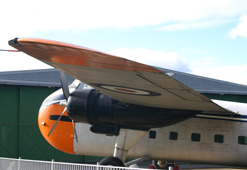 At the Aviation Museum you will find aircraft from before WW2 through to the jet age. There are vintage and classic civilian aircraft such as the "Moth" as well as a London to Sydney air-racer. The RAAF Museum is located at Point Cook in the southwest of Melbourne. This was the birthplace of the Australian Flying Corps and the Royal Australian Air Force. This Melbourne museum tells the story of the second oldest air force in the world. It is located in the defence department location, and for this reason you are required to show photo ID. There are Interactive Flying Displays presented at 1pm on Tuesdays, Thursdays and Sundays, and you can take a 360° tour of all hangars. You are best to check the RAAF museum website for location, opening times and special events. 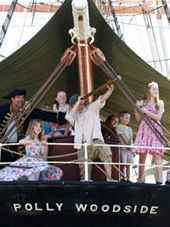 The National Trust's Polly Woodside has been restored and is now open. It had made 17 trips to all parts of the world between 1885 and 1904. At the new gallery of the Polly Woodside, you get to experience its journey through the eyes of George Andrews, the ship's carpenter. There are hands on activities and interactive displays. Great place for a family visit. It is docked at South Warf in front of the Exhibition Centre. On the Enterprize you have the opportunity to experience life on board a nineteenth century sailboat. It’s a rebuilt square rigged commercial sailing ship that makes this significant part of Melbourne’s history live and real to the current generations. The Enterprize Ship Trust funds itself with public sails around Port Phillip Bay and ports around the southeast coast of Australia. It can also be chartered for anything, from a few hours to overnight sails. The Melbourne Jewish museum is dedicated to the conservation, preservation and exhibition of Jewish heritage, culture and artefacts. There are innovative exhibitions, forums and film nights. It is located in 26 Alma Road, St Kilda, - and an area where many Jewish people settled around WW2. The Melbourne Chinese museum has just been through a major redevelopment. It covers the stories of the Chinese community that has been part of Melbourne for over 150 years. A new interactive exhibition called Bridge of Memories tells the personal stories of Chinese migrants, who began arriving in Melbourne from the 1850s. This Melbourne museum shed light on the local Chinese experience during the Gold Rush. You can also admire the Big Dragon and artefacts such as the traditional wedding costumes, shoes for women with bound feet, opera banners, etc. It is located in the heart of Chinatown, in 22 Cohen Place. Percy Grainger was an internationally renowned Australian-American composer and pianist. He lived an extraordinarily full life, also working as an educator, social and musical commentator, clothing designer and Free Music inventor. He was also a skilled linguist and known for his forthright opinions on many subjects. In this Melbourne museum you can look at the spoils of Victorian gold fields. It is located in the magnificent Old Treasury Building. You can inspect the building's historic gold vaults and a diverse range of temporary exhibitions. The Old Treasury Building is located in Spring Street. At the Koorie Heritage Trust you can get a a fascinating insight into the indigenous culture. It host galleries and exhibitions tracing Koorie history.It is located in 295 King Street. This is a place to see rare opalised fossils and the life-size animal sculptures, and displays of unset opals and jewellery.It is located in 119 Swanston Street. The Post Master Gallery is home to a significant collection of philatelic heritage and artwork. 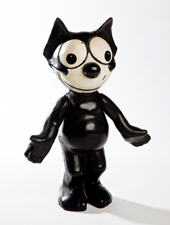 It is also one of Australia's foremost graphic design archives. It is located in 321 Exhibition Street. There are local gold museums in the Goldfields region that tell of the discovery of gold, the story of Australia becoming a nation, and the history of the area. Sovereign Hill in Ballarat is a living museum and the site of the richest gold field in the world. It is a re-creation of the hustle and bustle of life in Ballarat in the 1850s, where you can pan for gold, and be part of the village. 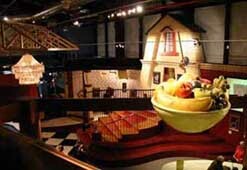 Another attraction in Ballarat is the Eureka Centre. It stands on the site of one of the most significant events in Australia's history the nation's only armed rebellion, the 1854 Eureka Rebellion. The magnificent building describes the tension and drama of the Eureka Rebellion in a series of galleries that bring the Eureka story to life. There is also a Golden Dragon Museum in Bendigo. It is a special Melbourne museum which brings to life the story of the region’s Chinese miners and settlers who arrived on the Goldfields in the 1850s, and their remarkable legacy.